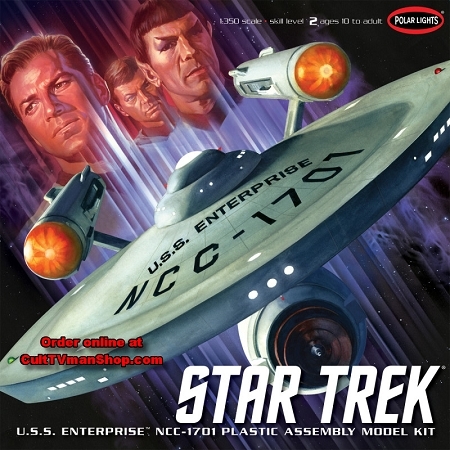 Build the 1:350 scale Classic TV Enterprise. You can build the pilot variations using Classic Enterprise Parts Pack. Get creative and build different Constitution Class starships with the Registry decals. Light your kit! Detail it with decals and photoetch.